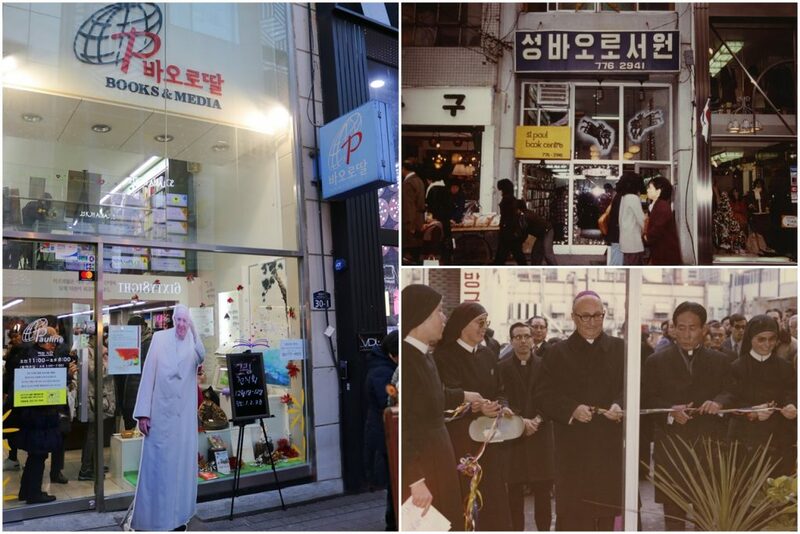 Forty-seven years ago, the FSPs opened a Media Center in the heart of Myeongdong, a district of Seoul filled with many expensive buildings and streets that are teeming with pedestrians, both locals and tourists. 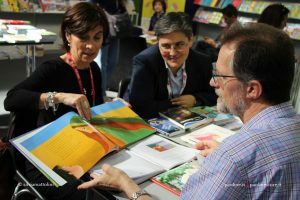 However only a very small number of these people are interested in reading and cultural proposals. 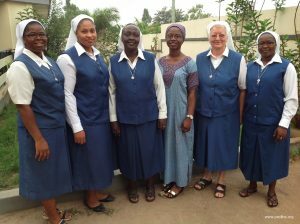 Over the years, the sisters in the Media Center offered the public many initiatives, including exhibits, seminars, retreats and reading courses. 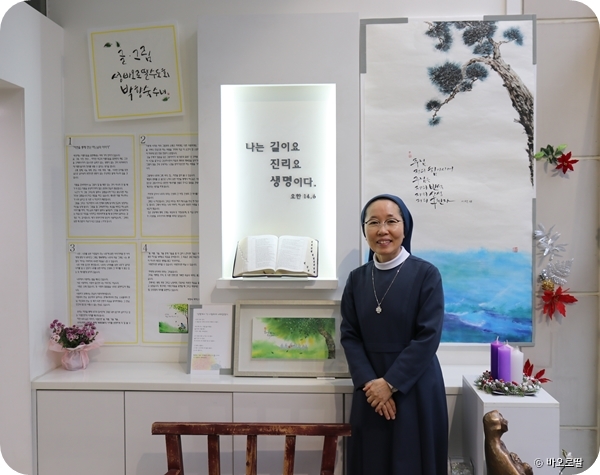 Their last project in these days, prior to the closing of the Center, was a display of the paintings and poems of Sr. Pacis Park, fsp, who used traditional Korean paper, handmade from the bark of mulberry trees, for her illustrations. 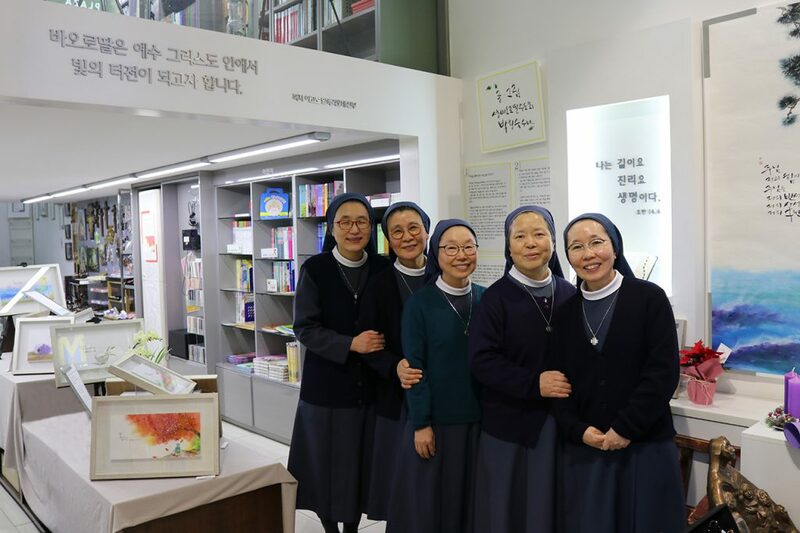 The title of the exhibit was: A History of Images with the Words of God. 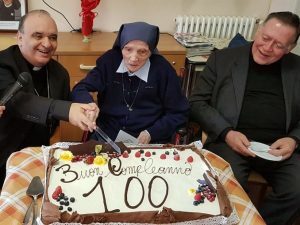 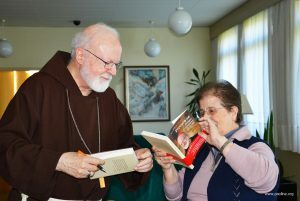 As a final farewell, the staff of the Media Center invited the public to attend a retreat and a Mass of Thanksgiving for this singular Pauline presence. 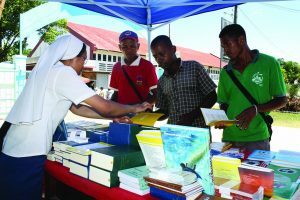 Activities and initiatives come and go, but the Word of God lasts forever.